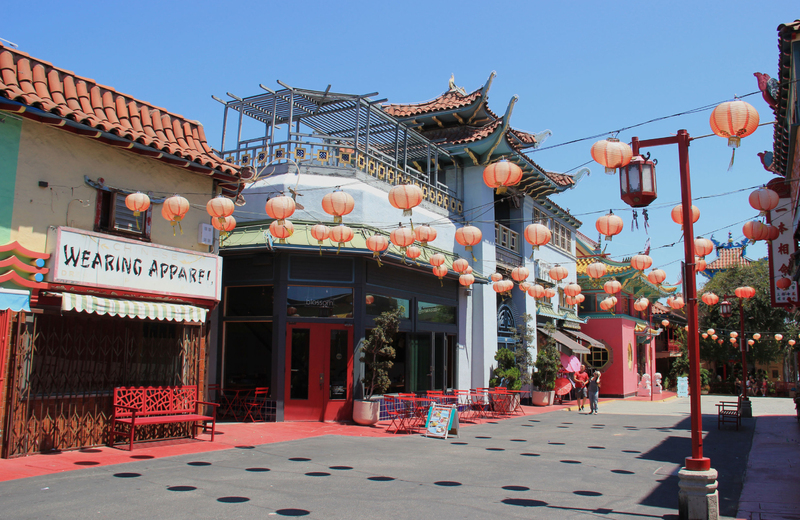 Inside LA's Chinatown neighborhood lies the Los Angeles Historic State Park. This area has seen a good deal of change over the years, and its most recent iteration might just be the most substantial one to date. The city recently unveiled the newest set of renovations to the oddly-shaped plot of land, but to truly understand the significance, a quick trip through recent history is required to lay the groundwork. Long ago, around the turn of the 20th Century, this area was once known as the site of the Southern Pacific Transportation Company's River Station. Those coming from the east would disembark here, and, thanks to copious amounts of corn that would spill from the train cars, the area became known informally as "The Cornfield." Fast forward to 2001. The spot had long been a public area but plans to convert it into an industrial and warehouse area motivated residents to rally against this change. In time, the idea convert the area into an official park with real park amenities grew legs, and in 2006, a fledgling version of this vision was opened. The journey doesn't end there, however. In 2014, the California State Parks department closed the 32-acre stretch of land to begin some renovations. The plan was initially to take one year, but the budget grew, and so did the timetable for completing the renovations. Money wasn't the only concern. The California drought also had a hand in delaying the park's reopening, as, without water from the rain, the grass took much longer to grow than initially anticipated. Through dedication and patience, though, the project was able to make substantial headway, and now three years later, those renovations are finally complete. Residents can avail themselves of a completely revitalized version of the park. The cost was significant, roughly $24 million, but the results are undeniable. Gathering input from all sources, and being flexible with the design, has allowed the improvements to take on a modern look. One which captures the beauty of Southern California, and one which also has more than its fair share of things to do and see. "Los Angeles State Historic Park provides an extraordinary opportunity for recreation and education in the heart of Los Angeles. Within its 32 acres of open space directly adjacent to Chinatown, park visitors can wander pathways and enjoy a view of downtown, as well as discover and celebrate the natural and cultural heritage of Los Angeles. " Upon its grand re-opening, visitors to the park can now see that it is clearly divided into three sections. The park's northernmost area serves as something of a habitat area, where the splendor of the Southern California landscape comes to life. This area includes many native plant species, along with a basin that fills with water during the rainy periods. It is in this part of the park that visitors are most likely to catch a glimpse of various kinds of urban wildlife, and will get some of the best photographs if snapping a few shots of the area is their fancy. The middle area of the park has been designated for events and festivals. Nicknamed the "great lawn," this area encompasses about 10-acres and is also suitable for picnicking and other forms of outdoor frolicking. As one might imagine this is the flattest part of the park, allowing for stages, stalls, and other setups to be incorporated easily. This area of the park will best suit park goers that want to enjoy the wide-open outdoors, running around or flying a kite without a care in the world. The park's south area is where the amazing curved bridge can be found. This structure sits on high, providing a view of the park from above. There is also a visitor center that includes an interactive exhibit of the area's rich history. Additionally, there is a 1.1-mile track encircling the park, allowing joggers to get a vigorous workout in when the weather is accommodating. If you want to take a look at some stunning images that have been here and other areas around the revitalized park, you can do so at Urbanize LA's recently posted photo tour. The recent re-opening of the park was a great success, to say the least. Many gathered to enjoy the refreshed space, and, in addition to the expected speeches from political figures and park administrators, there were plenty of festivities as well. The day-long celebration saw musical performances from Grammy Award-winning artists, tours of the park, and public art installations heralding the decision to rejuvenate the park and celebrating the great act of community unity that made it possible. On that note, just enjoying the park isn't the only way residents can participate in it. They're also encouraged to get involved through various programs dedicated to improving the assist with special events and projects. They are also invited to join in the Interpretive Media Laboratory, a "new joint program of the UCLA Center for Research in Engineering, Media and Performance (REMAP) and the State of California Department of Parks and Recreation." According to the park's website, their focus is " to research, develop and maintain innovative interpretive approaches for the new Los Angeles State Historic Park." The park, of course, doesn't exist in a vacuum. It's part of a greater community, one that you can become a part of by taking residence in one of the many apartments for rent in Los Angeles, like Eighth & Grand, one of the city's most luxurious complexes, carefully curated for discerning tastes. Here, residents can experience the spacious apartment layouts, fabulous building amenities, and a prime location that puts them front and center for all of the wonder of Downtown Los Angeles. Take some time to check out the neighborhood, and see why this unique opportunity is one that you should carefully consider.